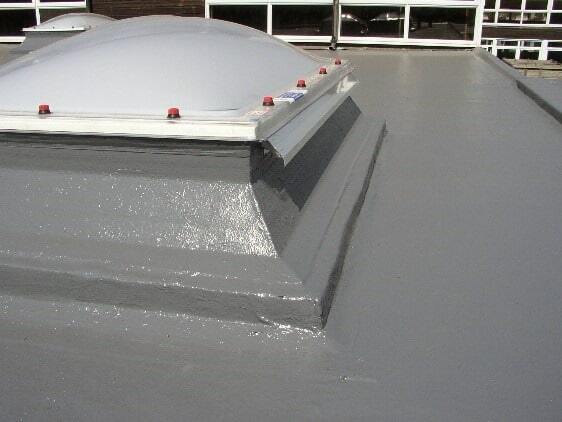 Liquid waterproofing membrane is available in the form of liquid and is sprayed or applied by brush or roller to the concrete surface which forms a thick joint free membrane in contact with air. The benefits of this process lies in its simplicity to apply. The joint free process is the most important benefit as there is significantly no chances of seepage of water unlike in roll sheet WPM and other water proofing methods. The contractor can cover larger area in a day and if applied next day can start overlapping the layer finished last day with spray liquid waterproofing membrane. The membrane thus formed should be proper thickness as thinner membrane can break down, care has to be taken by installer and engineer in charge. These liquid applied systems feature coatings have elongation properties, durability, flexibility, abrasion, chemical resistance providing successful installation. The liquid waterproofing membrane provides optimized performance and also most importantly longevity. Thus this method of waterproofing is time saving process and also no need to shut down the other works as if applied in morning gets dry and strong till afternoon. It saves a lot of labor cost, and gives maximum quality results. 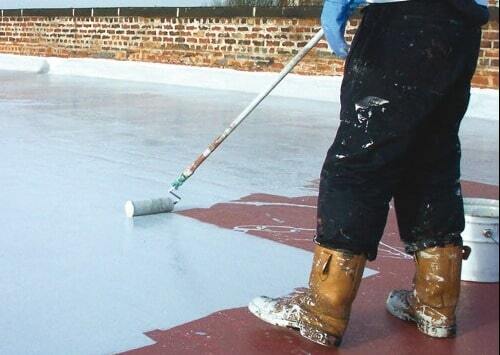 While sheets and other membranes degrade over time, liquid applied waterproofing provides a long lasting effects. When applied over concrete surface it fills the cracks of the concrete creating a protective vapor barrier system, penetrates in concrete up to a depth of 20 mm and maintains a water tight seal, thus increasing the strength of concrete. In many countries such as US, UK, this waterproofing membrane is applied on exterior walls also. It is available in different colors so that it matches the color of wall. Approx. 5 gallons of waterproofing membrane can be used for 325 sq. meter of concrete surface. You need to put 1 coat, let it dry and then put the second coat. 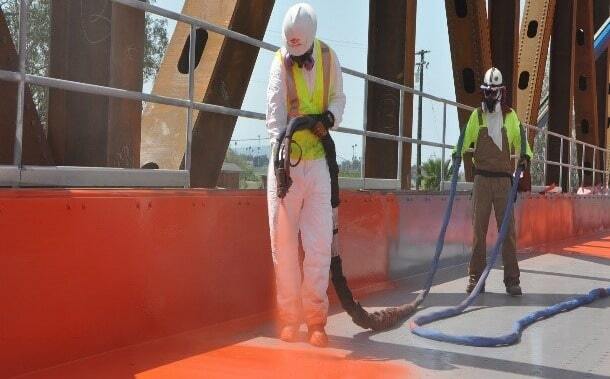 It can also be applied on concrete bridges (It can have an application rate of 800 sq.meter per hour). Concrete expands and shrinks causing cracks under high or low temperature causing water seepage, the liquid waterproofing membrane has UV absorption properties and thus it saves damage to concrete in such conditions. The liquid waterproofing membrane can also be applied on metal deck steel bridges which have space age joint system. It prevents the seepage from the joints. It increases the longevity of the bridge and this comes into picture when the bridge is rebuilt after 10-15 years. The liquid waterproofing membrane not only prevents the cracks but also prevents the corrosion of inner materials, the steel bars, and the joints. It seals the cracks up to 1.3 mm width and can withstand expansion up to 0.4 mm and what more the bridge is ready to use for traffic in less than 6 hours. The surface to be waterproofed should be clear from dirt, dry and clean. There should not be any loose patches on the surface so the contractor needs to ensure proper surface preparation prior to application. It is critical that the applied membrane should be watered soon after the membrane is touch dry. As per standard specs it has to be cured by water following couple of days. It gives a low maintenance service long life. It’s a lifetime smart alternative then other conventional methods. If the bridge last for 200 years so as the waterproofing work too. It also saves the cost of filler and sealers and other materials which will be used in future to repair cracks and still remains a temporary solution only. As a Civil Engineering Professional, possess more than 15 years’ experience of which International experience of 8 years in gulf in the areas of construction-related Project management. With proven Technical & Civil engineering capabilities, I have managed the operations of various prestigious high-cost construction projects at a number of sites while achieving the best possible quality of work provided.